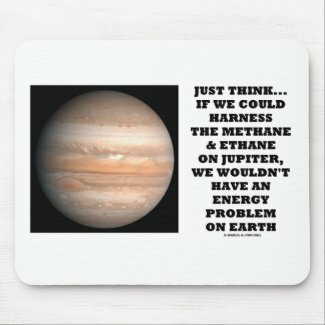 Do you think about solar system solutions to the coming energy crisis on Earth? 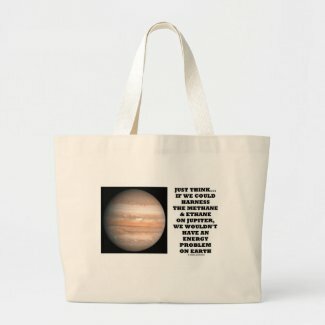 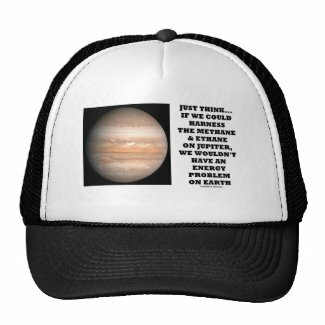 Make others do a double-take with your sense of astronomical humor with any of these gifts featuring the planet Jupiter and the following astronomical thought: "Just Think... 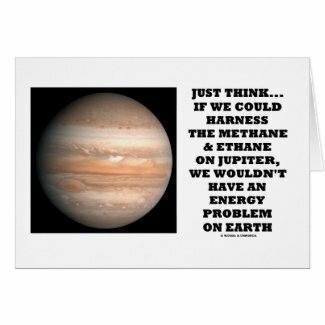 If We Could Harness The Methane & Ethane On Jupiter, We Wouldn't Have An Energy Problem On Earth". 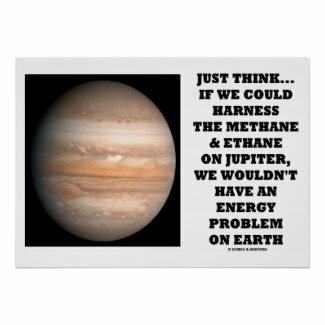 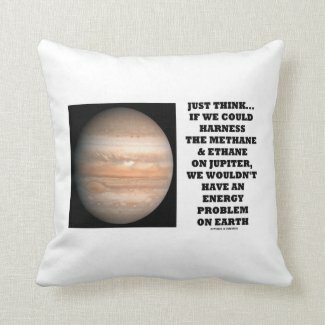 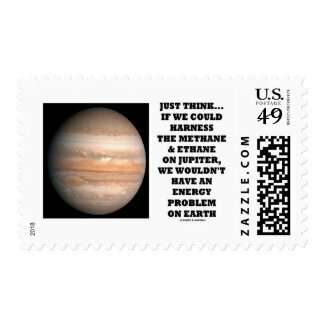 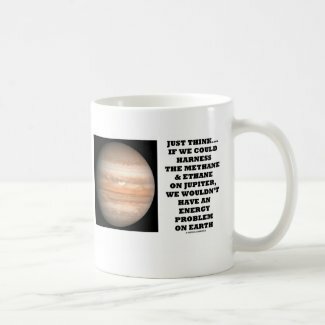 Wry educational, scientific attitude gifts that will make others guess at how much methane and ethane actually exist on planet Jupiter and how much energy we will need on Earth in the coming future! 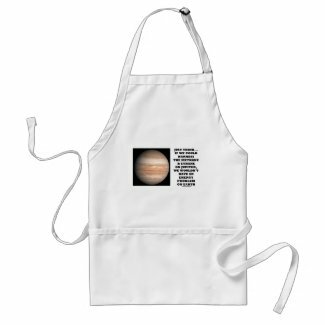 Design my own apron online at Zazzle. 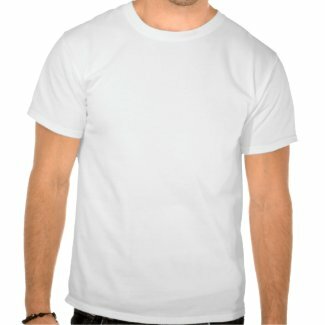 Make custom photo pendants at Zazzle.